Q: does this item quality for the 20% discount? 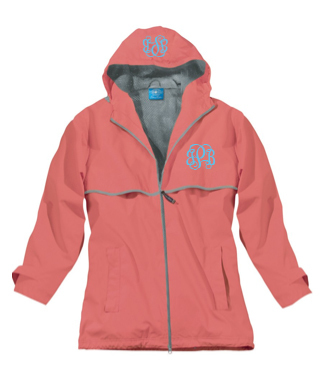 Q: Can I order this jacket online with monogram, then pick up at the store in Easley? I need the jacket by 10/22 if possible. A: Please give us a call at the store that way we can check inventory for you! Q: I usually wear a 2x and looking at your rainjackets wonder if your extra large will fit me ? A: These are a ladies fitted jacket. If you are local to the store you can always stop by and try these on!